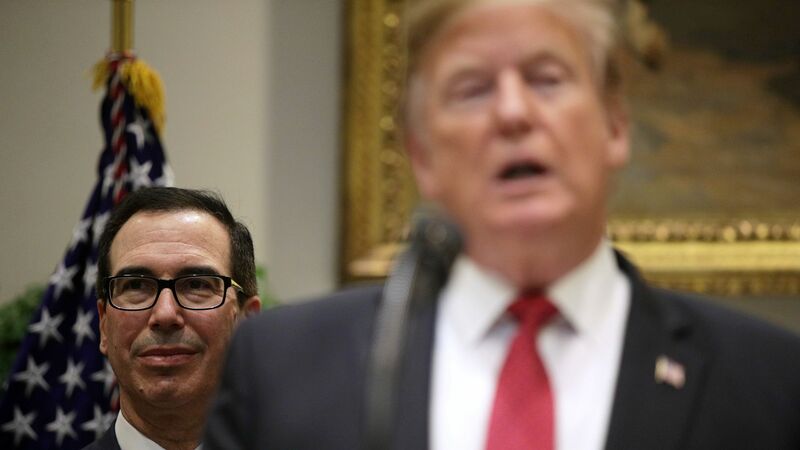 Treasury Secretary Steve Mnuchin told a congressional subcommittee that the Treasury Department was in contact with the White House general counsel's office before the House Democrats' formal request to obtain Trump's tax returns. "Our legal department has had conversations prior to receiving the letter with the White House general counsel. I acknowledge there were conversations. I am not briefed on the full extent of those conversations." Why it matters: House Ways and Means Committee chairman Richard Neal (D-Mass.) requested 6 years of Trump's tax returns from the IRS last week. It's now up to Mnuchin, who oversees the IRS, to decide whether to comply. According to the New York Times, this is "the first public acknowledgment of communication between the White House and the Treasury Department related to Mr. Trump’s tax returns." The process is supposed to be immune from White House intervention, the Washington Post notes. Mnuchin told the committee: "I believe that the communication between our legal department and the White House general counsel was informational. We had obviously read in the press that we were expecting this. I personally wasn’t involved in those conversations."